The Detailing Centre at Lévis Mazda allows you to conserve the look and reliability of your vehicle in the long-term. Our team of specialists will quickly bring back that spark in your car or SUV. Our detailing services, near Québec, are modern and efficient. Visit us today. Protect your investment thanks to our Mazda detailing services that prevent rusting of the body. Learn more about our different automobile detailing plans. Our detailing department at Lévis Mazda offers accessories that protect your vehicle against winter conditions and prepare it for springtime. We can give your car or truck that new look it has been missing. 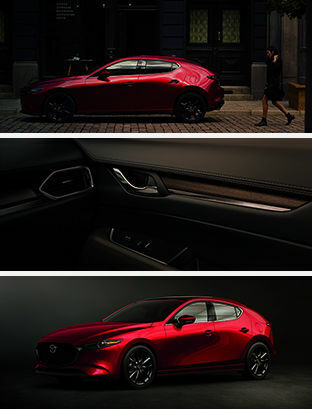 We are always available to answer your questions about conserving the aesthetic properties of your Mazda. Lévis Mazda uses premium quality products to take care of your vehicle for both the interior and exterior. Discover prices for taking care of your Mazda and conserving its value for as long as possible. Trust Lévis Mazda to take care of your vehicle and for quality Mazda detailing.